We offer manpower and logistics as quick and just-in-time basis. The production group always keeps this slogan in their mind and proceeds with an outsourcing of business contracts and logistics business. We work toward to improve them centered on the each person in charge in each field and we contribute to each company. We have a contract for the performance of work by others at their own production site and a contract work of performance at our own factory facility. We carry out the work to meet the needs. The business contents are assembly, modification, picking, inspection and others, which are the part of niche range. We deliver products in accordance with assembly sequence, and we carry out logistics in a factory such as in-yard distribution, warehouse management and logistics of merchandise such as handling of spare parts and acting delivery. We further support business strategy of your company not only quality, delivery and prices but also improvement of production efficiency as our suggestion. ・Deciding KPI ( Key, Performance, Indicator) to achieve each target. standards and manuals that clients require. 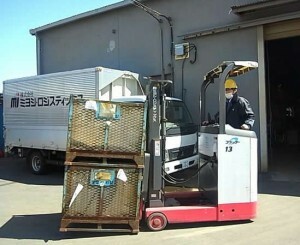 ・Education and training of staffs, operators. ・Setting the period of foregoing temporary staffing. ・Establishment of a follow-up system. ・Regular follow-up after the start of contract, evaluation, improvement action.